The award is given by UC Santa Cruz in recognition of a resident of Santa Cruz County who exemplifies the work and efforts of the late Tony Hill. It is meant to honor individuals for their efforts in seeking solutions to the needs of our local community, building bridges across diverse communities, and developing innovative approaches to solving social problems. The award will be presented at the 27th annual UC Santa Cruz Martin Luther King Jr. Convocation on January 31, 2011. The keynote speaker this year is civil rights activist Terrence Roberts, a member of the "Little Rock Nine"— the group of African-American students in Little Rock, Arkansas, who made history in 1957 as the first to attend classes under the federal mandate to desegregate public schools. Being selected for the award was a surprise and a great honor, said Johnson. "We live in a community with many progressive people who are doing all kinds of extraordinary work, and to be noticed in such a wide pool of possibilities was really humbling," Johnson said. She recalled the words of Martin Luther King Jr. when he accepted the Nobel Peace Prize. "He described himself as a trustee, and said he was accepting the award on behalf of a movement—and that's how I feel," Johnson said. 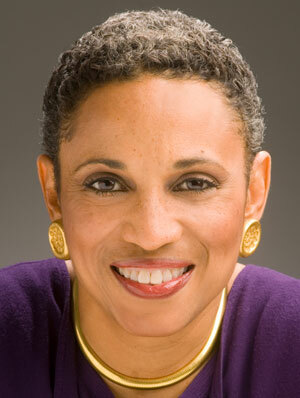 In addition to being the founding minister and president of Inner Light Ministries, an Omnifaith outreach ministry, Johnson is also the founder and president of The Motivational Institute, an organizational development consulting firm specializing in cultural diversity serving the public, private, and nonprofit sectors. A lifelong social justice activist, "Rev. Deborah," as she's known, is the successful co-litigant in two landmark cases in California—one set precedent for the inclusion of sexual orientation in the state’s Civil Rights Bill; the other defeated the challenge to legalizing domestic partnerships. Award nominators praised Johnson's dedication to addressing pressing community needs and advocating for the disenfranchised. They emphasized her work in civil rights and marriage equality, as an advocate for those affected by AIDS, as a leader in addressing racism and oppression, and as a strong proponent of bringing differing sides to the table for respectful discussion of issues. The intent of the event was to provide a forum for reconciliation, to live together in harmony, said Johnson. Saying that both she and Hill were people who were unafraid to "kick the elephant in the room," Johnson added that the mere existence of the Tony Hill Award heightens awareness of the need for inclusion and dialogue in the community. "You can't really talk about anything that's invisible," she said. "So the visibility that it gives heightens the awareness, and it reminds us that good things really are happening. We live in a society that has a lot of sensationalism in the news, and a lot of talk about what's wrong or what isn't happening, and I think it's extremely important for a community to come together and to celebrate its accomplishments." Past award winners are Luis Alejo, former Watsonville mayor (recently elected to state assembly), and Santa Cruz City Councilman Ryan Coonerty.